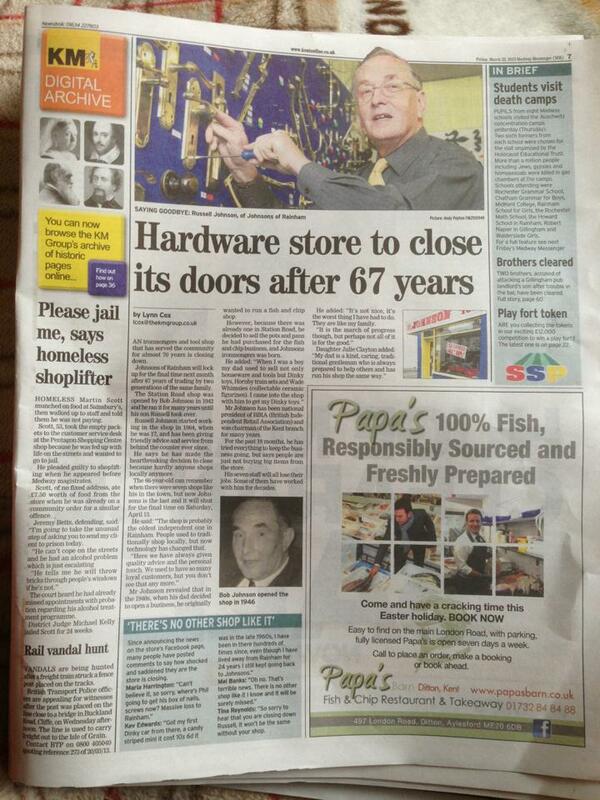 Hardware store Johnsons of Rainham will be closing in April 2013. 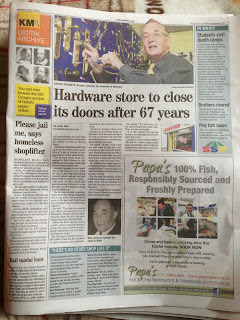 The shop has been open since 1944, originally run by Bob Johnson and then his son Russell who currently runs the hardware store in Station Road, Rainham, Kent. It's a sad day for the area when a specialist local store like this closes, losing the personal touch and the wealth of advice that you could rely on to help you with any tools for DIY jobs.